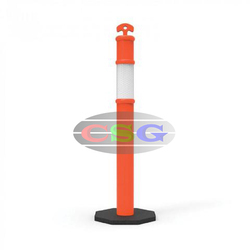 Prominent & Leading Exporter from Mumbai, we offer spring post, flexible spring post, pu flexible spring post, warning bollard, spring delineators and plastic delineator post. 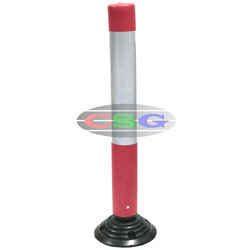 We have over two decades of vast industrial knowledge and experience in producing superior quality Polycarbonate Spring Post. The basic materials used in manufacturing Flexible Spring Post are well tested by our testing team to ensure its safety. 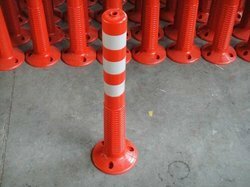 Our engineers and technical team also provide customised designs Road Delineator as per customer requirements and applications. Advanced techniques are used to produce Road Safety Spring Post with precision. We have over two decades of vast industrial knowledge and experience in producing superior quality PU Flexible Spring Post. We have over two decades of vast industrial knowledge and experience in producing superior quality Spring Post. 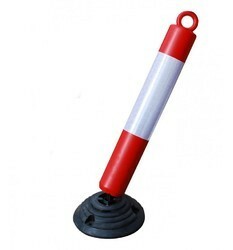 Spring Post is used to show the road geometry during day and night making it convenient for drivers and keep them away from road hazards. 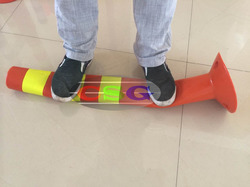 The road safety devices have properties like anti-impact heat resistant waterproof and resistance from sun rays & various climatic conditions. 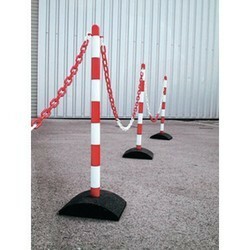 We have over two decades of vast industrial knowledge and experience in producing superior quality Flexible Post & Lane Block. Looking for Spring Post ?